Every weekend is a new adventure! From pets to pirates, there's something for everyone. Check back often as we will be adding more special offers and events! 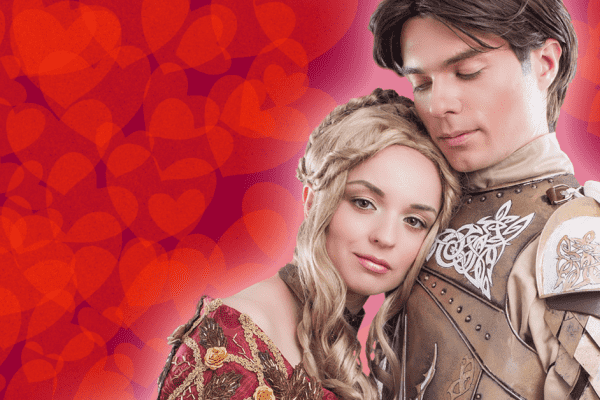 Love is in the air this weekend! Mass Renewal of Vows Ceremony – 2:00pm Saturday at the Wildwood Pavilion in the Olde Towne area. Celebrate Romance Weekend by joining other couples in a mass renewal of vows ceremony conducted by the Festival’s Wedding Officiant. Register at the Information Booth inside the Front Gate before 1pm to participate. Each couple will receive a Renewal of Vows Certificate. Saturday is ASL Day – Many of our stage shows will be signed by ASL interpreters. Check the schedule at the ASL Tent just inside the Front Gate. It's College Weekend – Celebrate the end of the semester with $8 admission for all college students with valid College ID! Only available at the Festival Box Office. MAY 4 & 5 - May the Fourth Be With You Weekend! A weekend of Cosplay and Costume Contests where Fantasy meets History, and Superheroes meet Royalty! 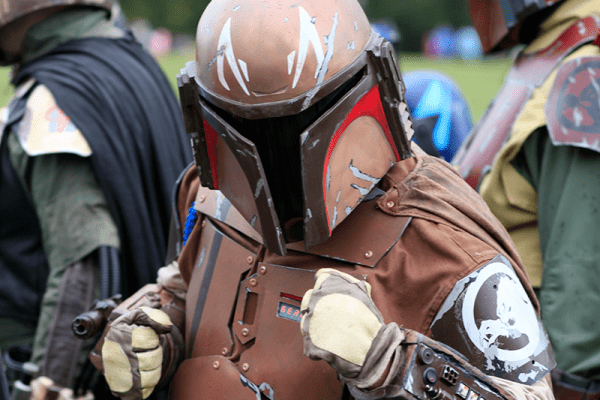 dress in your best cosplay garb and compete to win great prizes! All ages welcome – Register at the Information Booth before noon to participate. Light side? Dark side? Rebel? Sith? All are welcome! 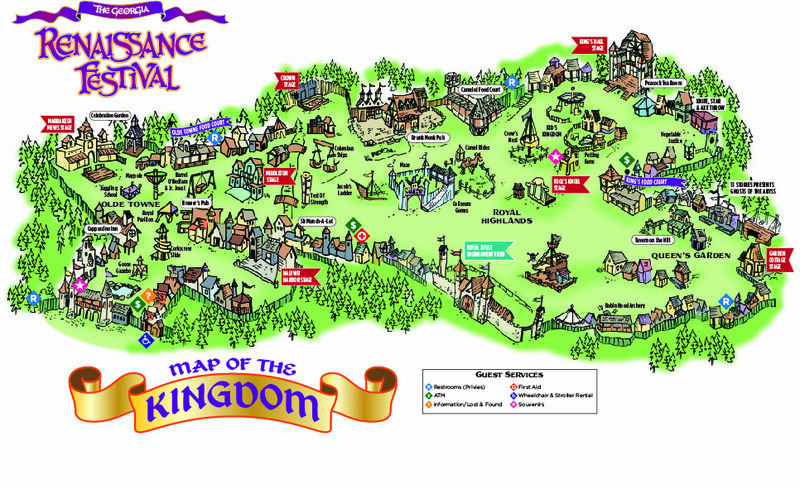 Meet at the Information Booth and travel to the Joust Arena. IT'S A CELEBRATION OF SEA DOGS! This weekend, pirates of all ages will find treasure in our special contests, like the Pirate Costume Contest and Walk The Plank Trivia. 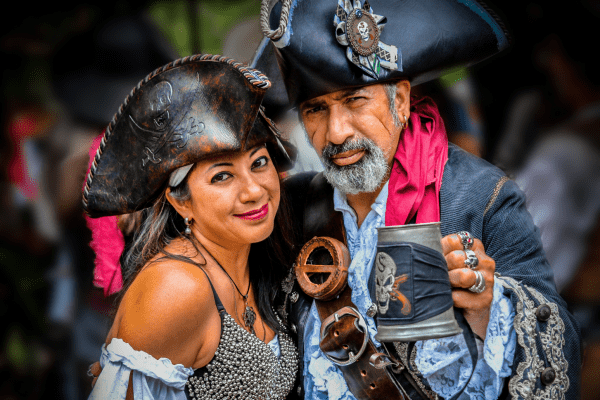 It’s a weekend full of fun piratical hijinks! It's Pet Friendly Weekend – Bring your dog or cat on a leash. GO HERE for pet registration form and full details. A good old-fashioned relay race with a few twists. Grab your First Mate and compete to win great prizes! Sign up at Pirate’s Cove. Competition will be judged and prizes provided by the crew at the Pirate’s Cove! Sign up at the Pet Registration Tent outside the Front Gate! 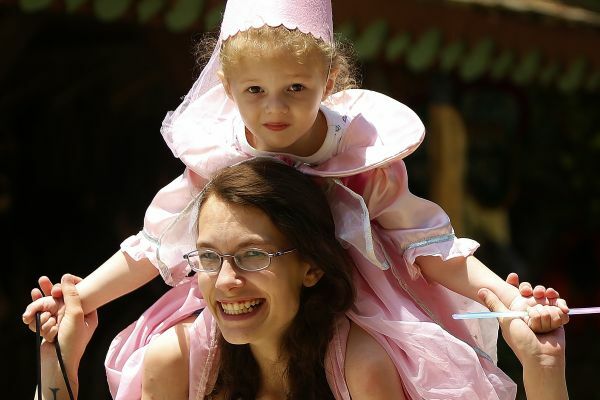 Join the fun - Meet at the Information Booth and set sail to the Joust Arena! Didn't get an owl from that famous wizarding school? 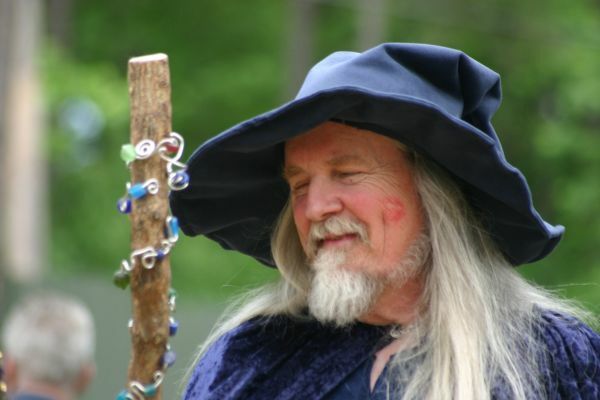 That's alright because we'll be celebrating all things magical this weekend with wizard-themed costume contests, magical events, and a special "Butter Buzz" mead by Atlanta's own Monks Mead! Find out which house suits your personality! Watch a game of Quidditch in the Joust Arena and cheer on your favorite team! Parade your best robes and cosplays for the judges to win prizes! Sign up at the Information Booth before 1pm to participate. Meet at the Information Booth and travel by foot (no flue powder allowed) to the Joust Arena! You can join in the action and play a real game! Three Days to Play! The Festival is open Saturday, Sunday and Memorial Day Monday. Bring the family out on this holiday weekend. All active and retired military get in free with military ID – plus up to 4 family members get in for just $8! Available at the Festival Box Office ONLY! Discount cannot be combined with any other offer – Family discounted tickets must be purchased together when military discount is given. Bagpipes, drums and kilted dancers abound, plus special contests! Bring your whole clan! Don't miss your last chance for a turkey legge and a frothy ale! See the exciting finale of the Royal Joust, and all of your favorite Festival performers one more time, 'cause after this weekend, we’re history… 'til next year! How many mashed potatoes can you eat - without using your hands?? 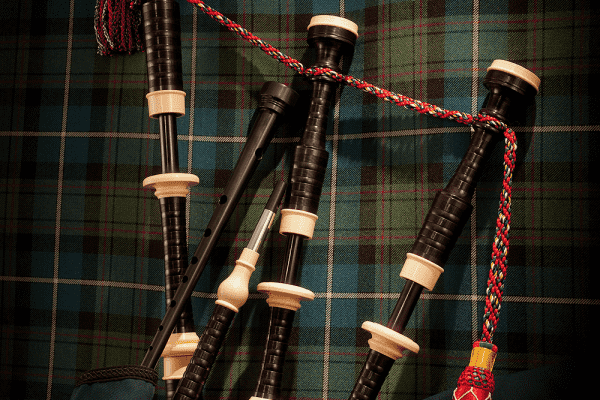 A piper from the John Mohr Macintosh Pipe and Drum Band will demonstrate the bagpipes and answer your questions about this interesting instrument. Join in as the best legs and knees will be on display during this uplifting contest! Do you possess a pair of exceptional gams? Find out!